When was the last time you liked a book so much that you read it twice? 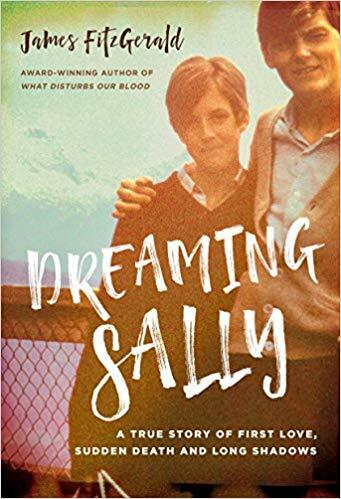 Dreaming Sally by James Fitzgerald has captivated my imagination. A true story, it outlines the tale of a life cut short, and of the two men who loved and lost, and struggled in the aftermath. By his heavenly powers of description, it is as if the author peeled back the veil, and re-created a lively young woman who seemed beautifully natural and full of fun. Seeing her through the eyes of a teenage male in love with her, but not able to win her heart, gives the story an extra portion of poignancy. Coupling the tale with Sally’s betrothed who also lost her, made me feel for both of them in this love story cut short by death. The power of the author’s skill made me feel like a mad teenager again, searching the mean streets of the city for the next thrill. I could hear the music, taste the wine, feel the pressures upon us, and fail to understand my parent’s generation all over again. It takes amazing courage to penetrate to the heart of the story, and give over to honest self- examination. The settings, the dialogue, and the story remain vivid and are still creeping into my thoughts by the hour. It is a litmus test of sorts, to see how long the words linger. This book is one I will never forget. How impossible is it to bring the dead back to life? Yet it is Sally’s vitality that leaps from the page. That she was right on the cusp of change, the time when human history made a huge leap, the era where birth control set women free to explore their sexuality, and the time when collectively, the female of the species declared that the old norms of the patriarchy would never do. 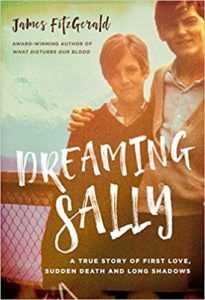 Many of us can identify with Sally and can imagine how her life would have unfolded. I see all the makings of a matriarch who would have created a fine family. She was about to begin nursing school and would have emerged with an even stronger sense of herself. Romantic, nostalgic and all too real, the book has left me in greater awe of master story-teller James Fitzgerald. This entry was posted in Narrative Non-Fiction and tagged Canada, love story, Romantic, Toronto on November 16, 2018 by Elizabeth Smythe Brinton.